The western-most edge of France is a world apart from the big city experience of Paris that most of us associate with a visit to France. 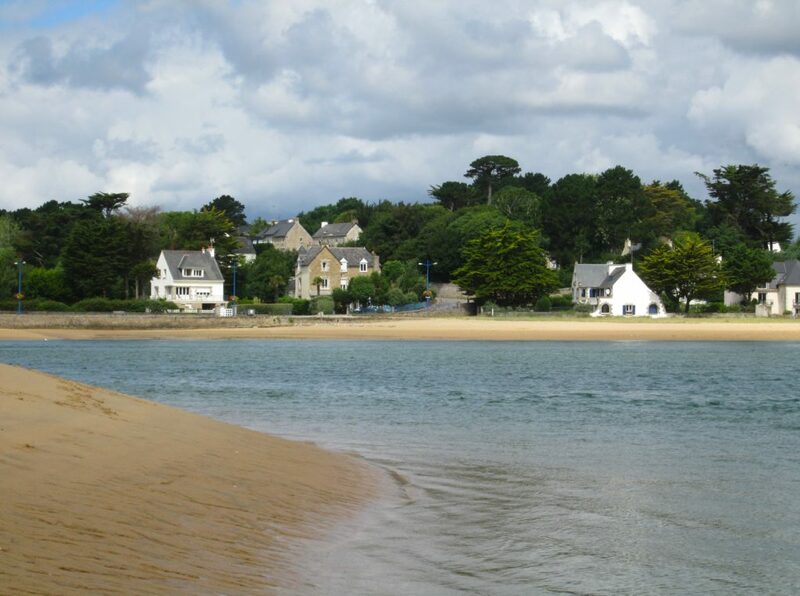 Brittany (Bretagne in French, Breizh in the local Breton language) is small-town and rural with many sea-side vacation spots popular with the French people. (As in most rural areas, every little English is spoken, so be prepared with your Google translate, if you don’t speak French). We stayed in a home exchange just a 5 minute walk from the beautiful Atlantic coast beaches of Guidel-Plages. Our delightful French hosts Agnes and Jean-Paul left us with lots of cheese and wine, and their very comfortable 3 bedroom house. Within just a mile or two, there are surfing beaches, swimming beaches, and sheltered bays safe for children: boats and jet skis and all the water sport equipment you could desire are available for rent at the beach. Cafes and restaurants on the waterfront serve excellent French food, including the local Breton Gallettes: a buckwheat pancake folded over melted cheese, ham, and egg (cooked in butter of course!). When we were there at the end of July, it was un-crowded and mellow except on the weekends when there seemed to be an influx of people (perhaps from Paris, which is only a few hours away by fast train). In Kerbigot we enjoyed browsing the delightful offerings at the Poterie: http://www.ceramiquesdekerbigot.fr/ceramiquesdekerbigot/Lave-accueil.html , where we ordered a custom made address plate for our house. A visit to the chapel next door (Chapelle La Pitie) was followed by a break at the Creperie Laita for fresh and yummy fruit crepes, gallettes and coffee. Around the corner is the Gallery Kerbrest with paintings and sculpture by local artists: open in the afternoons only. 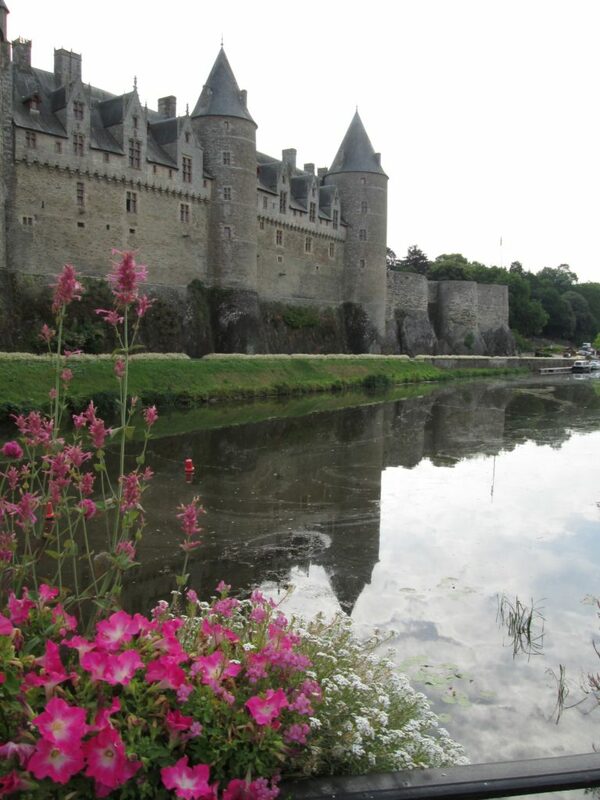 For a classic French chateau visit, we chose Josselin https://www.chateaudejosselin.com/en/ . With a thousand years of history and continuous use, it rises imposingly directly above the river bank on a rocky outcropping. A 30 minute tour of several renovated rooms provides a historical context (English tour once a day in the afternoon), and the gardens are great for strolling and picnicking. Those who are interested can pay a separate admission for the Museum of Dolls and Puppets. We enjoyed exploring the old town and the cathedral, as well as strolling along the riverbank path, and we rented a canoe for a leisurely paddle upstream through the town. This mostly ruined abbey is situated on the banks of the River Laita surrounded by beautiful forests full of walking paths. The entrance to the site itself costs 5 Euros, but is well worth it for a very interesting audio tour and the small museum featuring local artists. Our picnic at the edge of the abbey’s fish pond was relaxing and pleasant, or you can also eat at the very popular Creperie just a hundred yards away. 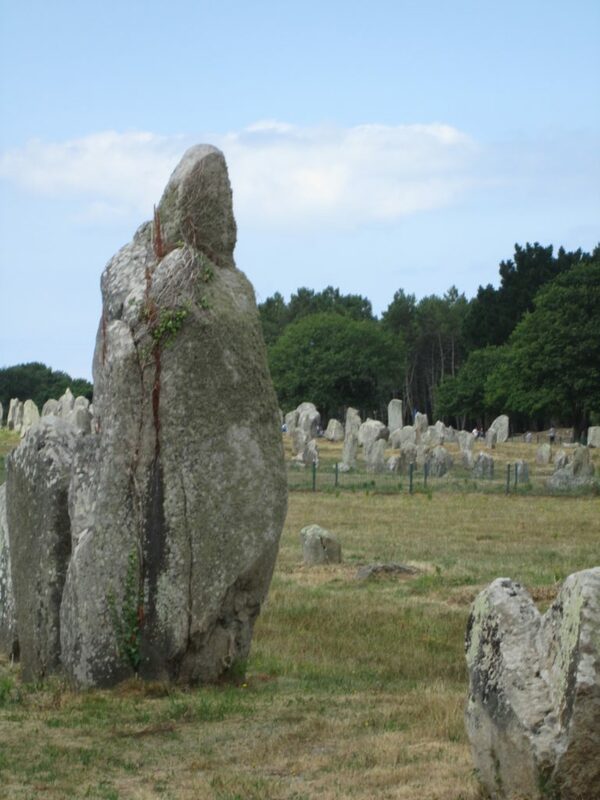 We hope you get a chance to visit Brittany, a wonderful part of France, and do your own exploring of local points of interest wherever you travel.